How many times have you waited in line for a Chipotle burrito? Or at the Apple store, for the new iWhatever? We are a culture that loves customization (whether it comes via burritos or iPads). In our busy, cluttered worlds, we look for any opportunity to create true expressions of our tastes. 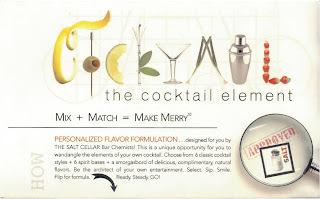 And cocktails, Salt has decided, are the next best medium to do just that. 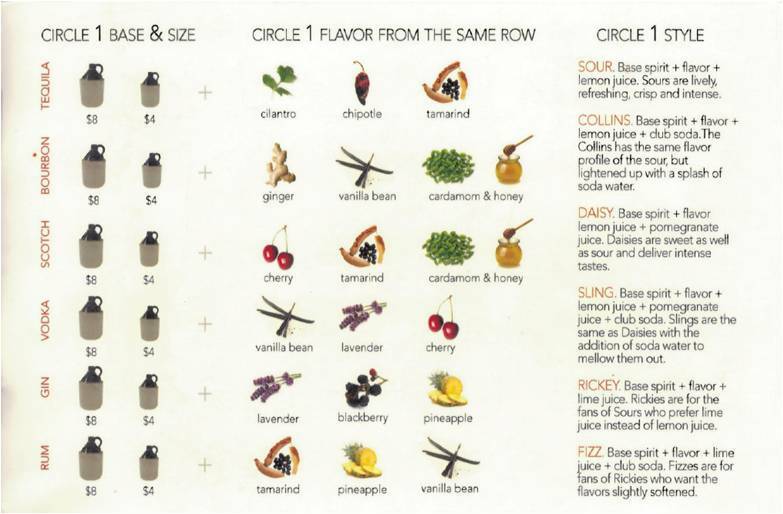 Our neighborhood bistro now has a DIY cocktail menu. 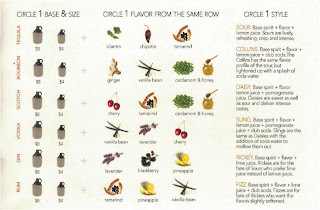 Pick from one of six alcohols, a selection of herbs and seasonings, and a variety of drink styles to make the cocktail of your choice. And then do it again, changing it up according to your mood or preferences. So just one question: What are you up for today? That is really an interesting idea! I love it! Thanks for sharing.